The About A Chair AAC 22 is the most famous chair by the Danish designer Hee welling. His goal was to create a comfortable chair with a very straightforward design. This was finally achieved with the About A Chair. Produced by the well-known design brand Hay, this chair differs from the classic ACC. This time, the seat shell has been completely upholstered on the inside to ensure maximum comfort. 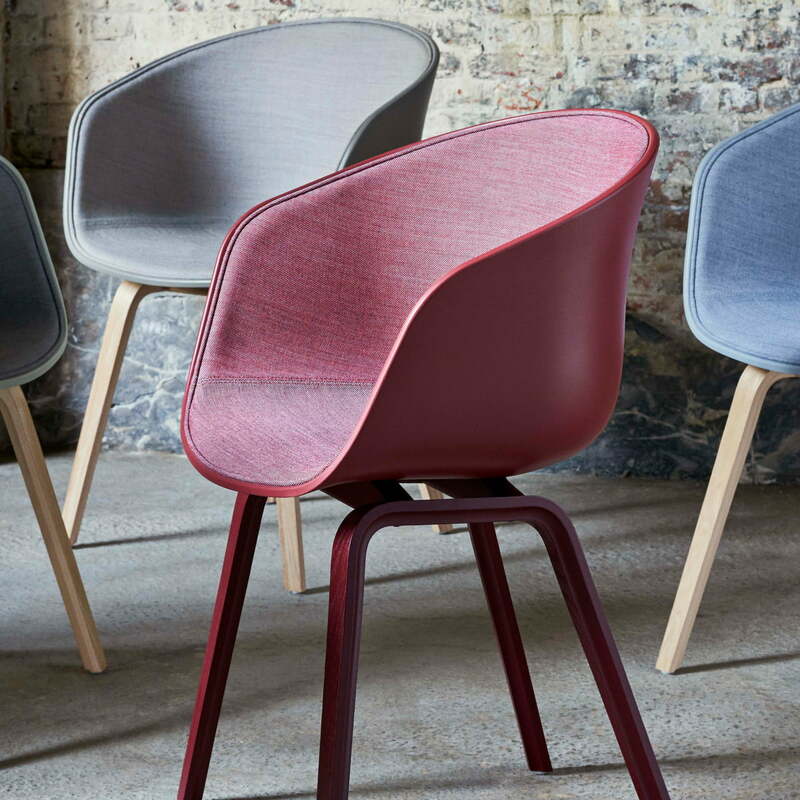 The upholstery by Hay is developed in collaboration with the fabric manufacturer Kvadrat, who is known for the production of extremely high-quality fabrics. The soft front upholstery provides an exciting contrast to the hard polypropylene exterior. Thanks to its aesthetic yet simple design, the ACC Chair fits into any environment. Whether in the dining room, office or bedroom, this chair is a clear statement and is a real eye-catcher with its high-quality details. Its adaptability to different spatial situations impresses and also makes it interesting for public spaces, such as hotels or meeting rooms. It will be as much at home in a café as it will in a conference room or at the dining room table. The About A Chair AAC 22 features armrests and a four-legged wooden frame with a soaped or stained finish. The seat shell made of polypropylene is also available in different colors and the upholstery is matched accordingly. About A Chair by Hay exists with different seat shells and bases. Numerous, individual combinations have been created, yet never looking unintentional or random. We will gladly advise you on your personal configuration. 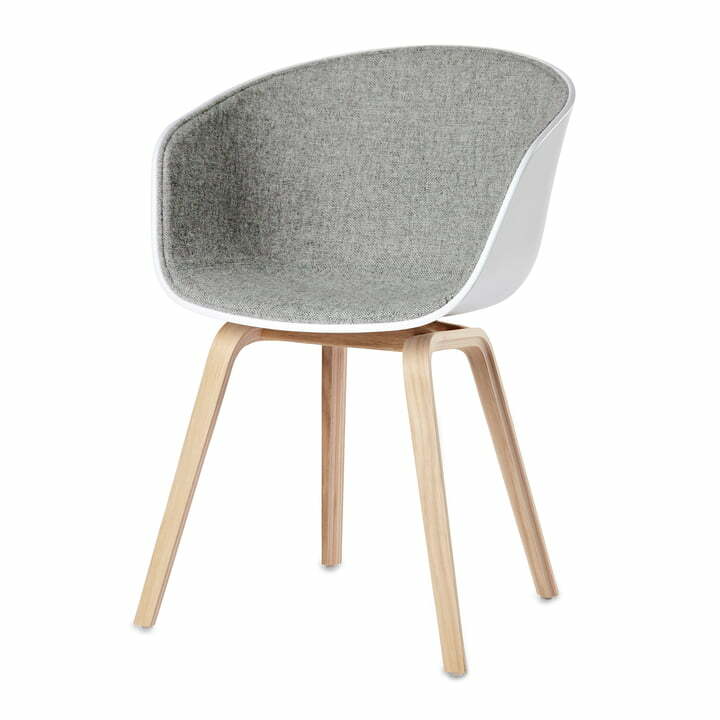 Isolated product image of the About A Chair AAC 22 Hay with a wooden four-leg frame (soaped oak), felt glides, a concrete grey seat and Surface 120 front upholstery. 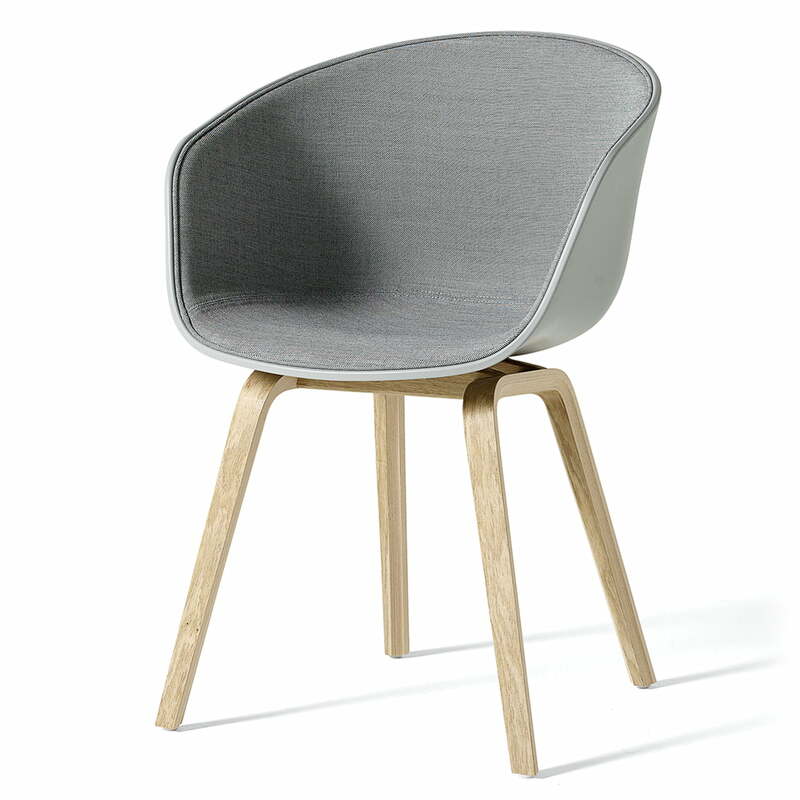 Lifestyle product image of the Hay - About A Chair AAC 22. The chairs by About a Chair are deliberately simple and restrained and can therefore be easily combined with other furniture. Lifestyle product image: Anika Pries from Blog Stilreich stylishly shows off her About A Chair alongside a filigree shelf. The combination is a real eye-catcher. 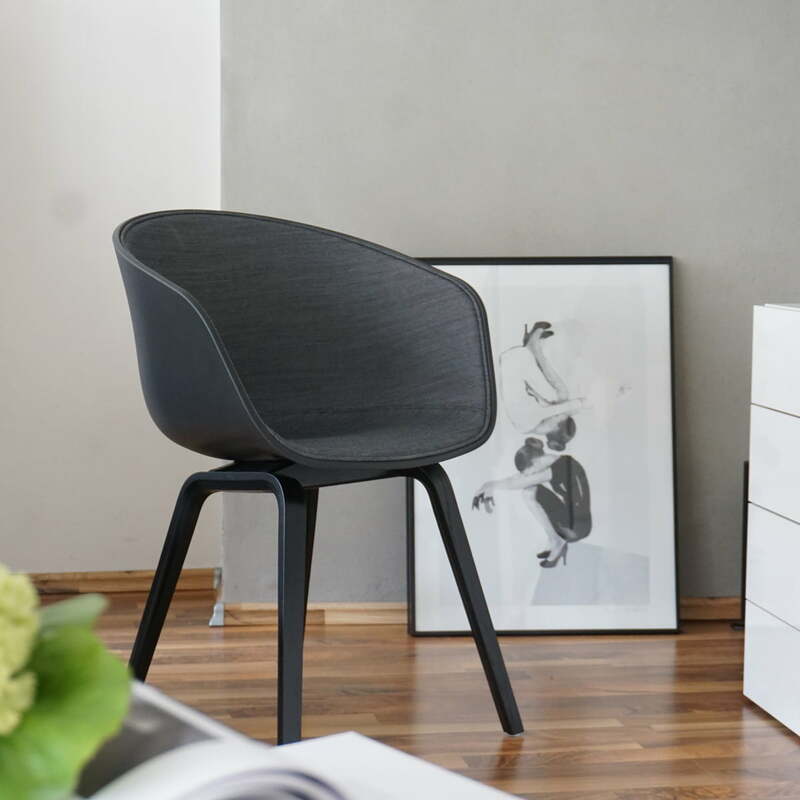 Anika Pries from the blog Stilreich shows her padded About A Chair 22 by Hay. The chair fits perfectly into any interior and can be excellently combined. 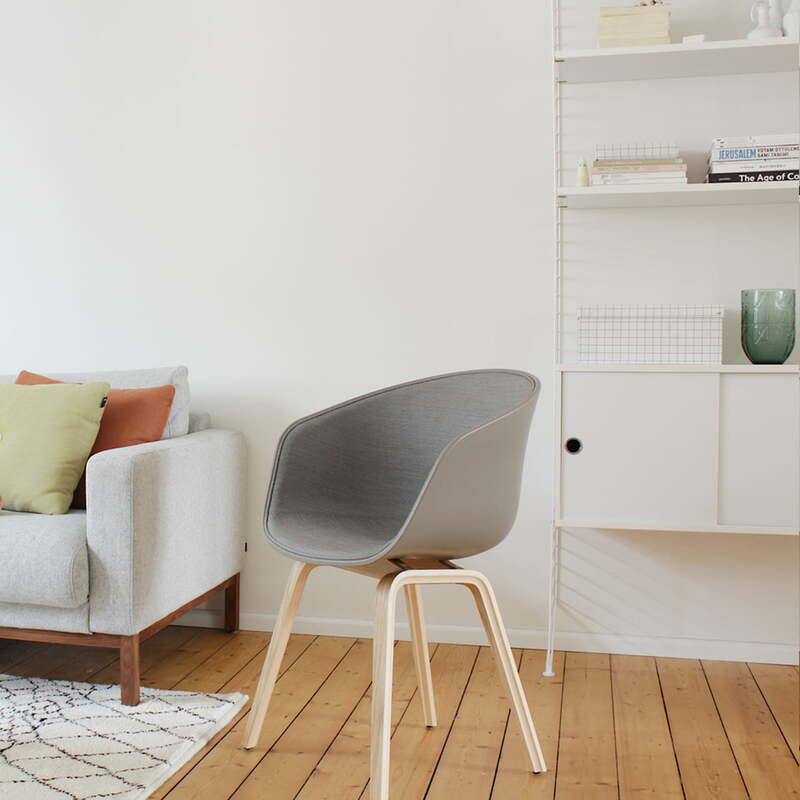 Swantje Hinrichsen from the blog SwantjeundFrieda shows her About A Chair 22 in khaki. 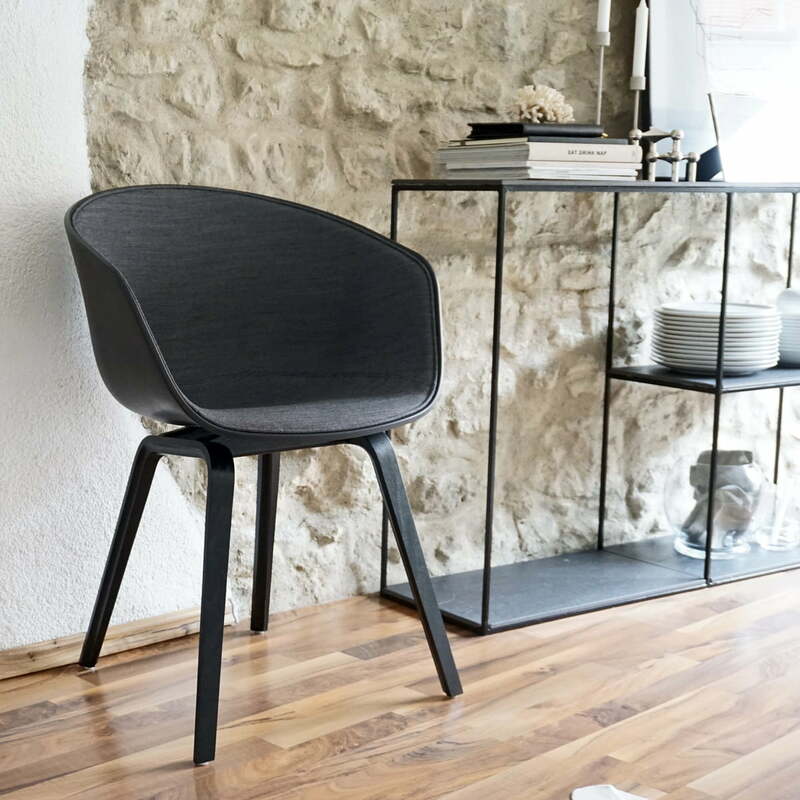 Thanks to its minimalist design, the chair fits perfectly into any interior.